Professional Painting Contractor Duluth, MN. Bester Painting is proud to offer our qualified experience of service to the Duluth, MN area! Bester Painting is the Northlands area’s number one choice for dependable, quality minded painting services. As the areas “Best” painting contractor, we’ve proudly been serving the Northern Minnesota and upper Wisconsin communities for almost two decades. Bester Painting offers its services to home owners and business owners alike. We are also experienced in handling projects from builders, contractors, home remodeling and construction companies. We are dedicated to our customer from all over the Duluth, MN area. These areas include: Cloquet, MN; Proctor, MN; Hermantown, MN, Esko, MN; Moose Lake, MN; Grand Rapids, MN; Two Harbors, MN; Tofte, MN; Lutsen, MN; Superior, WI and many more! Contracted painting for interior & exterior projects from smaller residential properties to large commercial locations! Our professional painting projects are in all sizes, interior and exterior for small residential jobs to large commercial jobs. No matter the size or scope of work all our projects are met with professional, neat and courteous results. All projects are supervised and overseen by Tom Bester (owner) for personalized service. Our painters operate under strict guidelines to ensure your interior or exterior painting needs are handled properly. If you require residential house painting or commercial painting we at Bester Painting are proud to offer our services. The interior and exterior painters in our company will make sure your home or business is undisturbed other than a new quality finish. Learn More About our Paint! 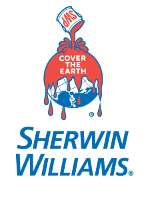 We use Behr paint, along with a selection of Sherwin Williams and Benjamin Moore. Looking for an environmentally friendly option? We offer green products! Is the environment important to you? We will complete your paint project while using zero VOC colorants! Call (218) 940 - 1276 or Click today! Bester Painting is the Northland area’s number one choice for dependable, quality minded painting services. As the areas “Best” painting contractor, we’ve proudly been serving the Northern Minnesota and upper Wisconsin communities for almost two decades.